The making of “Sound and Vision,” the archetypal David Bowie song. David Bowie, Rotterdam, May 13, 1976. In the autumn of 1976, David Bowie was exhausted from touring, estranged from his wife and breaking with his manager (the second such break in two years). His finances were in disarray; he was trying to shake an addiction to cocaine. And he hadn’t written new songs in nearly half a year. “That whole period stretching through to ’76 was probably the worst year or year and a half of my life,” he recalled to NME in 1980. This would be, in part, the story of the album Low: a depressed, run-down man trying to see if he can write songs again, half-wondering whether he wants to write songs again. It began as a goodwill project, to produce a solo record for his friend, Iggy Pop. Get him on his feet again, at least. But Bowie liked the French chateau where he recorded Pop’s The Idiot, and booked it for another month. He just meant to have an experimental session, with Brian Eno as guest star. One song started with Bowie giving a simple chord progression to his band and singing a few melodies. His drummer, Dennis Davis, thought it sounded like the Crusaders’ “Stomp and Buck Dance”; his bassist, George Murray, heard Bo Diddley. The band cut the backing tracks with their usual economy: a few takes, done. Bowie would call it “Sound and Vision.” It was his “ultimate retreat song,” he would later say. “It was wanting to be put in a little cold room with omnipotent blue on the walls and blinds on the windows.” It was also, in its way, the archetypal Bowie song. It’s a piece about depression and isolation, at times seemingly assembled at random, that was set to a melody so bright and catchy that it became a No. 3 single in the U.K.
“Sound and Vision” opens in a locked room. Everything is in its place. Two guitars, panned to either channel; piano; Murray’s exuberant bass; Davis’ whooshing percussion (likely a processed snare) like a radiator coming to life. Then a descending synthesizer line and two sighs of delight. The song is assembling itself: rhythm section, then “strings” (Bowie’s ARP Solina), then backing vocals (a blithe Mary Hopkin cameo), then brass (Bowie’s saxophone, like an old friend showing up unexpectedly). Finally its composer appears, as if called to the stage to take a bow. It was the end of a dry spell. 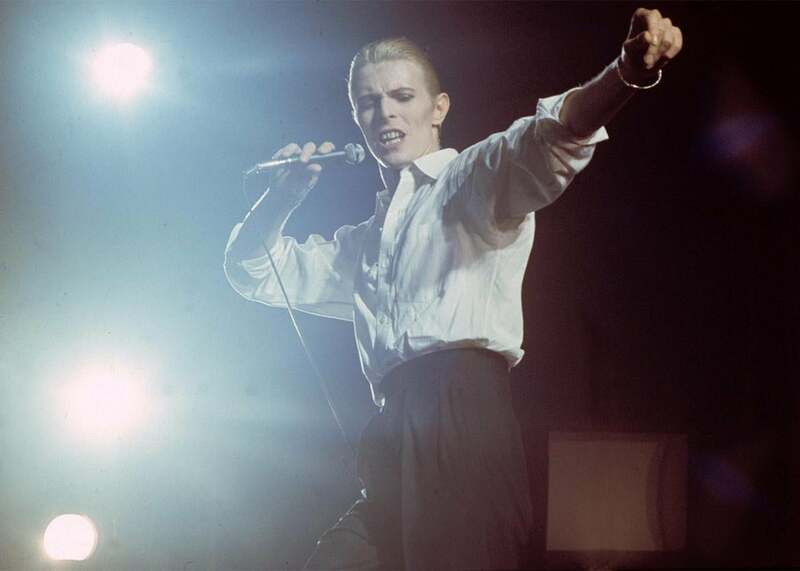 Unlike other Low tracks,for which Bowie struggled to come up with lyrics, for “Sound and Vision” he wrote a long set and then pared them down. “Sound and Vision” offers a humble wish: I will sit right down, waiting for the gift. No grand gestures, just a man at a piano, hoping that the notes come, that some words appear. It’s Bowie wondering aloud if he could ever write a song like “Life on Mars?” again, and he doesn’t seem troubled if he can’t. He’s content to have come this far, grateful for what’s left to him. As did the man who made it, “Sound and Vision” fades out long before one wishes it gone.